Many women suffer from varying degrees of hair-loss, and sadly, I am one of them. 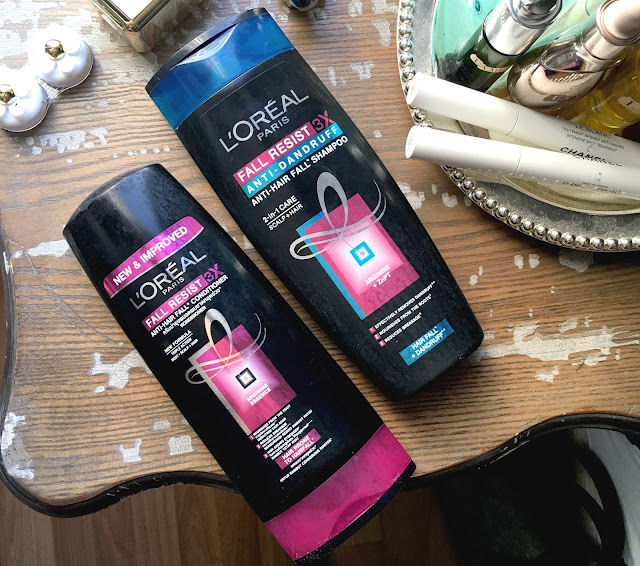 I was really excited to receive the L'Oreal Paris Fall Resist 3x Anti-Dandruff Shampoo and Conditioner, and eagerly started my trial months before this review. These come in large bottles (definitely value for money - RM15.90 for the 360mL shampoo and RM19.90 for the 330mL conditioner) and the conditioner is conveniently made to be stored upside down, so dispensing is easy. I like that the bottles are black - they look much sleeker displayed in the shower. The shampoo comes out a bit runny, but lathers fine. It cleans my scalp well. The conditioner is a nice, thick consistency, and I like the way it feels on my hair. Now for the nitty-gritty. This shampoo claims to remove dandruff with its ingredient, Zinc PT. I definitely noticed a reduction in dandruff (I tend to get flaky around that time of the month) and was very pleased with the result. It performs really well in this regard and I highly recommend it for those looking to reduce their dandruff. L'Oreal also says that this range will nourish the hair roots and reinforce the hair fiber for less hair-fall. 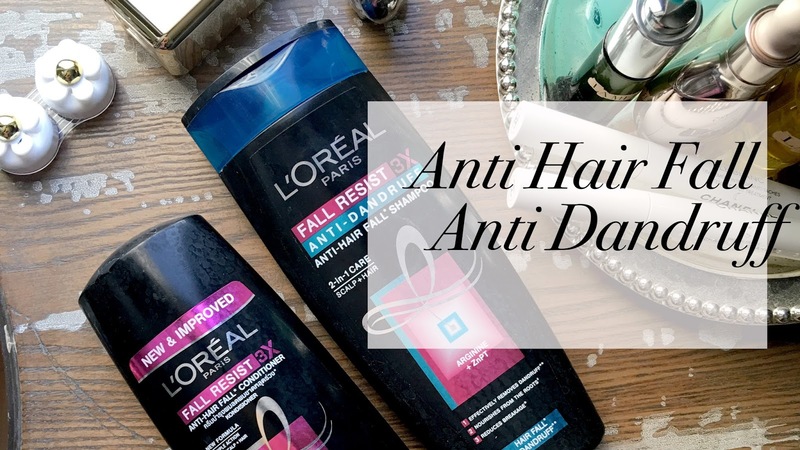 I didn't experience a decrease in hair fall, but that may have been because I didn't use all products in the range, or because the cause of my hair fall isn't what L'Oreal is targeting with this shampoo, which is weak hair fibers that break and case hair fall. I have a feeling my hair loss is due to weak hair follicles, so I may have to find something else that targets my particular hair concern. One more thing I should mention with this range is that you need to use a hair oil (I recommend L'Oreal Paris Extraordinary Hair Oil for an affordable but effective option) if you have dry ends, so that you get a more rounded solution to your hair care. Other than that, this is a great shampoo for people who suffer from dandruff. If you have weak hair fibers and have tried this shampoo, please let me know if it worked for you! I'd love to hear your thoughts. You can find more information on the Shampoo here, and the Conditioner here. The range also includes a mask, and you can find out more about it here.